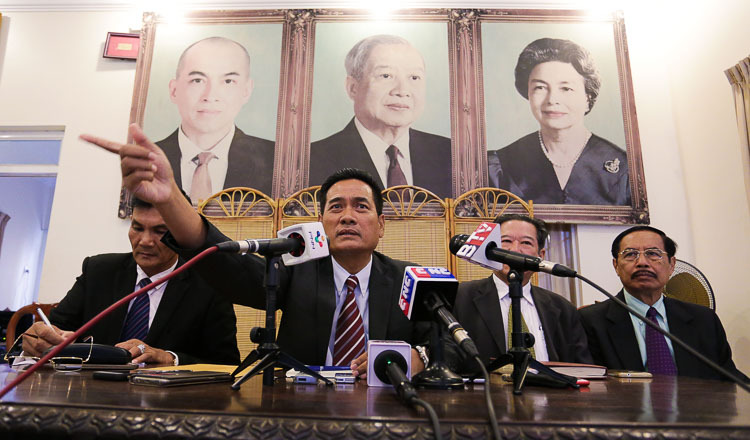 PHNOM PENH (Khmer Times) – The future of the Constitutional Monarchy is now assured with the emergence of a new political landscape and the unification of the Royalists and Sihanoukists in Cambodia. He was ousted in January 2006, and since then Funcinpec’s popularity and appeal to the masses has dwindled and resulted in the party being wiped out in the 2013 general election. Prince Ranariddh also said in the interview with Khmer Times: “I am extremely happy and proud to head the Funcinpec and look forward to working together with Samdech Hun Sen in tackling Cambodia’s social, economic and political problems and build a bright new future for our youth. 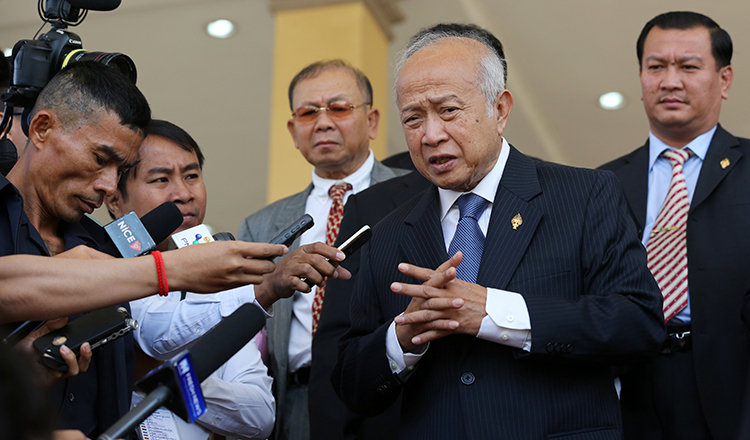 Prince Ranariddh will officially assume his role as president of Funcinpec on 19th January in a party congress. At the congress, Princess Norodom Arun Arunrasmey and Nhiek Bun Chhay will each be appointed vice president through an amendment to the internal by laws of the party. “Samdech Hun Sen has suggested that, and I am very happy and so is my sister, Princess Arun and my compatriot, Excellency Nhiek Bun Chhay. They have accepted this proposal. This is for the sake of unity among the royalists and the Sihanoukists and at long last, we have achieved this,” said Prince Ranariddh. He also praised the leadership of Prime Minister Hun Sen and proclaimed that he had no differences with any members of the Cambodian People’s Party (CPP). “Together, Samdech Hun Sen and I created history by uniting to enshrine the Constitutional Monarchy with the new Constitution promulgated in 1993 with the return of the late Prince Norodom Sihanouk to Cambodia and his subsequent coronation as His Majesty Norodom Sihanouk. “We did this for all Cambodians, not for our own selves. Prime Minister Hun Sen has also assured me that the CPP Youth will forever preserve the Constitutional Monarchy. Towards this end, Funcinpec will also focus on the youth and not just rally and unite the traditional royalists and Sihanoukists. “Funcinpec and I as the president, are very aware of the importance of the youth in the current political landscape and as such, will develop effective programs to address their concerns together with the ruling CPP and Prime Minister Hun Sen,” Prince Ranariddh said. 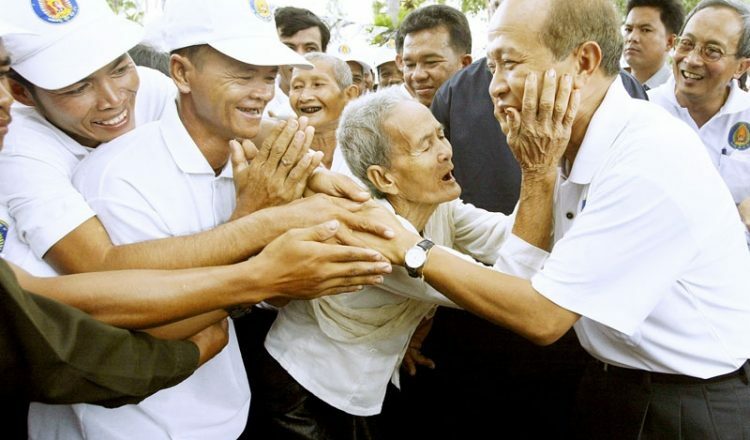 He added that he will be embarking on a nationwide tour to meet all Cambodians with particular attention to the traditional royalist supporters and activists to explain the unity and make them aware of the unification. In addition, existing party structures and mechanisms will be reviewed and revamped according to needs to strengthen the party as well as the country. 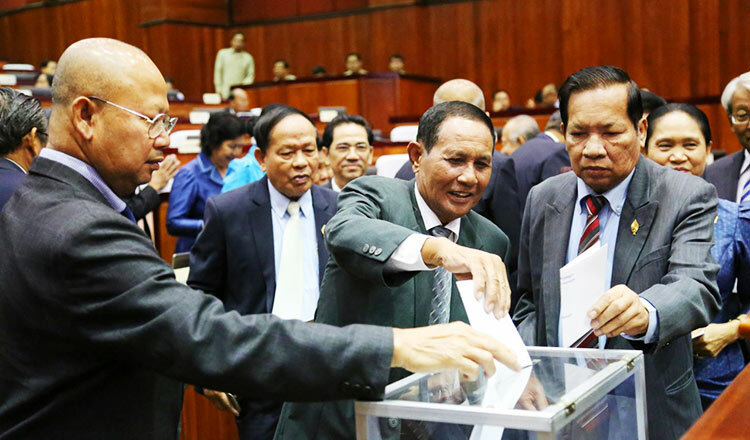 “From now on, it is collective decision making as this is the only way forward in the new political landscape of Cambodia,” Prince Panarridh said. The Prince added that it goes without saying that the Community Royalist People’s Party (CRPP), established last year, will be dissolved and the members will be absorbed into Funcinpec. An excited but emotional Prince Ranarridh said that it is his destiny to return and lead the Funcinpec, a party where he presided from its hand-over to him in 1981 by its founder the late King Father until his ouster in 2006. He also stressed that it was also inevitable that Funcinpec work closely with CPP as the two parties have a great history together and are jointly committed to restoring and preserving the pillars of the constitutional monarchy in the country. “We also need to strengthen the fabric of the nation and its main pillars – economic, social and political stability. This is the new political landscape of Cambodia with three major parties – the CPP, the Funcinpec and the CNRP. “I do not hold grudges against anyone who wants to support any party and has left to join, as it is their right and freedom as Cambodians. 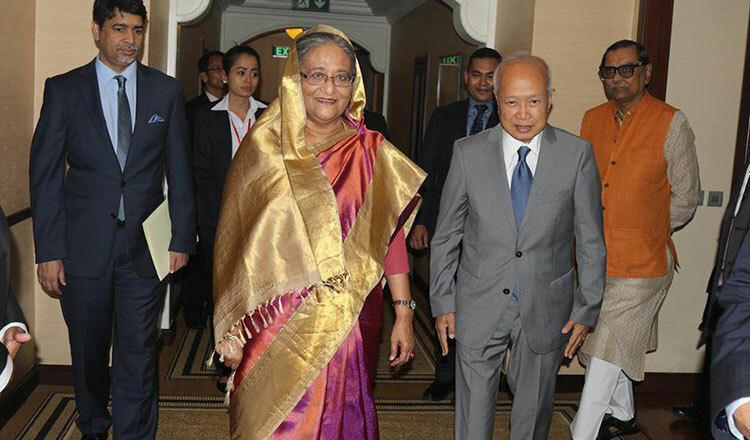 Prince Sisowath Sirirath has his opinions and is entitled to it but it is not shared by a majority of others. Opponents of this unification can be Republicans or belong to any political factions but to me, Funcinpec and CPP will work together and start a new beginning,” he stressed. He reiterated that there was no pressure from Prime Minister Hun Sen of any kind, just an honest wish for the royalists to regain their prestige and have unification. “This was all initiated by the Funcinpec leadership and the need to see unity among the royalists. It is a natural progression and it would be wrong to imply that there was intervention. There was none, only wishes that Funcinpec reunited, applauds and blessings,” the Prince said. As for the future presence of the Funcinpec in the National Assembly, the party president said that he is optimistic about Funcinpec’s presence in the next legislature.